Are you considering upgrading your MINI? If so, rest assured the new models still offer MINI’s world-renowned handling, exceptional safety, and premium finishes. The biggest difference is that our MINI models come in more sizes than ever, from a four-door version of the iconic Hardtop to the sophisticated and spacious Clubman and the adventurous Countryman! For those fond of the compact MINI Coopers that are easy to maneuver and fit in any parking space, we still offer that vehicle size. But now, we also provide a more spacious option, the MINI Countryman, our biggest, most adventurous MINI yet! Our new MINI models offer driving modes based on preference and driving situation. Sport Mode will tighten your steering and adjust the throttle profile for a more aggressive, thrilling drive. Green Mode optimizes fuel efficiency and has a coasting feature that disengages an automatic transmission when your foot’s off the gas. All of our new MINI models, from the compact Hardtop models to the spacious Clubman and Countryman, include world-class engineering of precision TwinPower Turbo engines. New generation MINIs provide a drive enriched with more pep and power! The MINI Hardtop is feistier and more fun than ever thanks to MINI TwinPower Turbo engines. Choose from the iconic 2 Door model or the 4 Door that was built for sharing. Both have plenty of premium enhancements but the same heart and soul as the original MINI that started it all. The biggest MINI yet offers standard features you might expect to be optional. 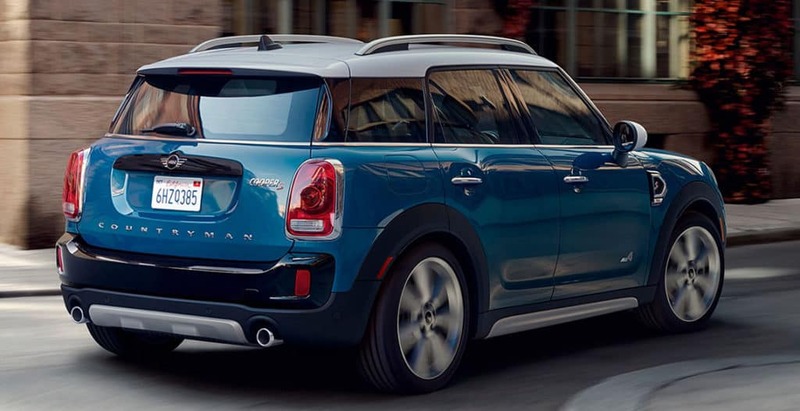 With more room, more comfort and available ALL4 all-wheel drive, the MINI Countryman is designed with adventure in mind..